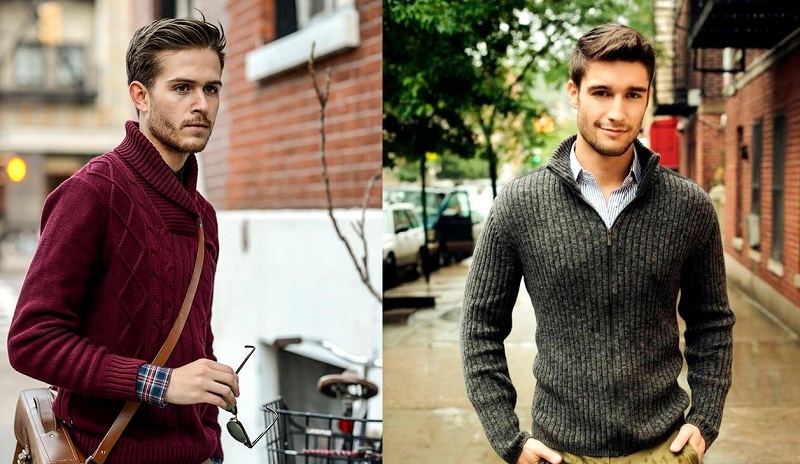 Men’s sweaters, cardigans, and sweaters are in every man’s wardrobe. The history of the appearance of these items of men’s clothing goes back to the distant past. Initially, sweaters, cardigans, and jumpers did not have the kind that we know; they looked like wide blouses, on fasteners with cuts on the sides. Such clothes were worn by medieval warriors; it had an unattractive appearance and was of dark colors: black and brown. 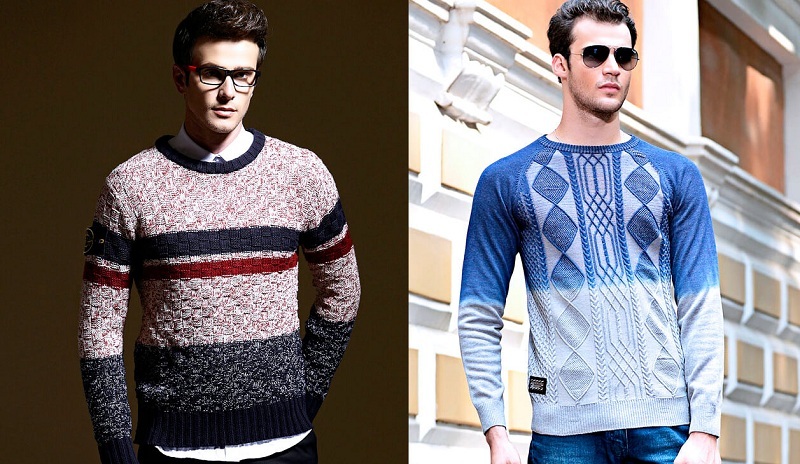 In the 19th century, a men’s sweater appeared with its style similar to modern, it was worn by fishermen and sailors. This sweater well protected from the cold, it was warm, cozy and comfortable. These sweaters were knitted from not washed wool of sheep, dogs, yaks, unbleached hair was waterproof, and there were such sweaters of black, brown and blue. Over time, men’s sweaters, cardigans, and jumpers acquired a modern look. Now they are presented in a wide choice of any style, different colors, sizes, and fabrics. 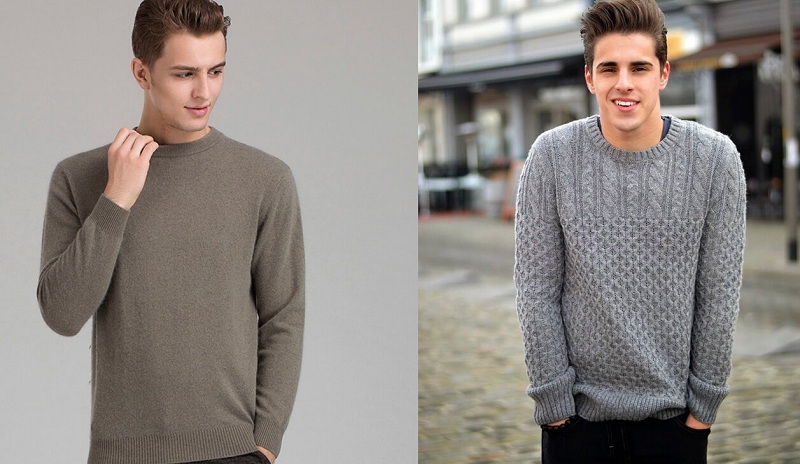 Men’s sweaters, sweaters, and cardigans can be very well combined with any colors of shirts, pants, jeans. They are well suited for office work, and for outdoor recreation. And in each case, they should harmoniously combine with the rest of the clothes, accessories, look beautiful. Sweater under his throat about him you can say that this style is suitable for every man, he is universal. This sweater has the only drawback, the neck of the sweater can stretch, but with proper care of the thing, it can retain its appearance for a long time and last long. Men who have a lean and slender figure very suitable for a sweater “Golf”, this sweater has a high neck, in the cold, it is warm and comfortable. 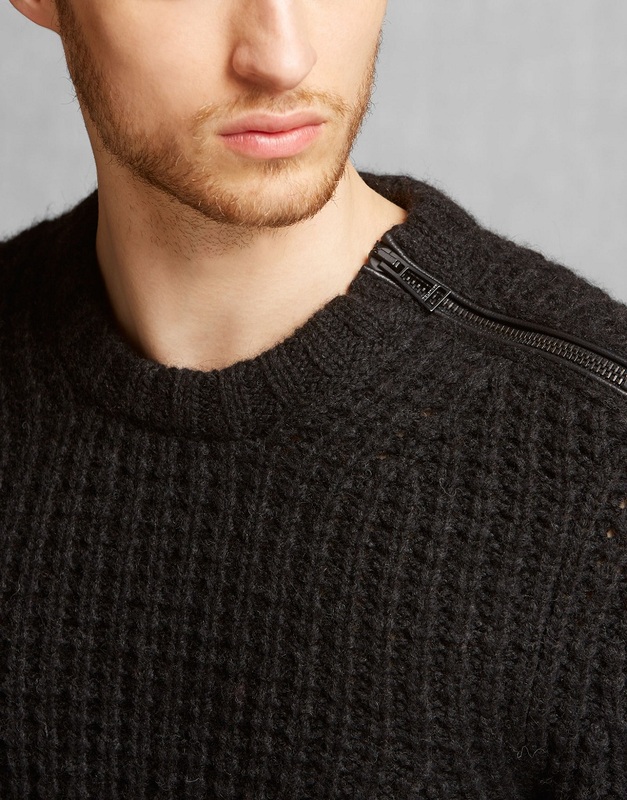 For full men this sweater model does not fit, visually it will seem that there is no neck. For businessmen, a sweater with a neckline is a good option; it can be worn as a separate piece of clothing and can be well combined with a shirt, trousers, and a jacket. Pullover about it can be said that it can help out in any situation, it can go on vacation and just as suitable for work in the office. It has a V-neck, without buttons. It can be combined with shirts, trousers, jeans, or worn on a naked body. Cardigan comparatively recently appeared in the men’s wardrobe, compared with other styles. Now, this style is incredibly fashionable, it is great for the multi-layered style. You can play it playfully and with any clothes. Favorably chosen by style and color are ties and men’s scarves. The composition of the material should contain more than half the composition of the entire wool material. In such a sweater in the cold it will be warm and with proper care it will last a long time, without losing its color, keeping the style. An excellent version of a thin wool sweater, such a sweater can be worn as an independent piece of clothing, and under light jackets, it will be warm and cozy. Sweaters made of wool or cashmere dense mating suit for men of the solid and middle age. Fashion designers present a wide range of sweater models. This sweater in the cold season will warm, it will look intriguing and spectacular. When choosing a sweater, be sure to consider the quality of the material and the properties of the thread used. In choosing a sweater, the right side of a sweater, cardigan or sweater plays a big role, it will depend on how he will sit on the figure. Having started to choose a sweater you need to know your size. It is necessary to try on the model standing at the mirror in full growth, often the sizes indicated on the label do not match. Never choose a sweater, cardigan, jumper for an eye. If a sweater, a cardigan, a jumper is tight or the other is hanging on a figure, this indicates that the size is not correctly selected. Standing in the dressing room at the mirror in a sweater, cardigan, jumper, it is necessary to pay attention to the shoulders, they should be in their place. The length of the sleeve should not be long, not short, it should be just. Correctly in size, a matching sweater, cardigan, the jumper should not constrain movements. To do this, when trying on, you need to move a little. The bulk of men do not like to focus their attention on themselves, try to buy a thing for all occasions. And yet, having measured many of the presented versions of sweaters, cardigans, jumpers, and having some tips, it will not be difficult to choose the thing you need. Keep Reading:We Choose A Mens T-Shirt. Council Of Stylists.